We are so excited to have everyone back after a long winter!! We are opening our doors on March 29th. 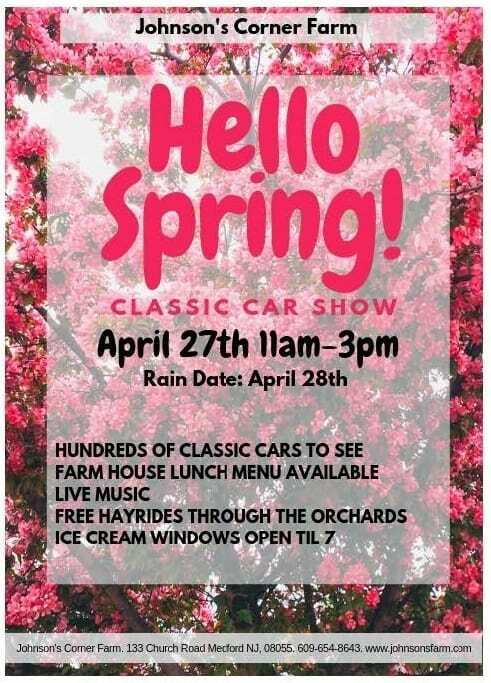 We will have FREE Hayrides and Discovery Barnyard and Animal Farm access and 1$ Hot dogs . This is an awesome opportunity to get outside check out what’s new on the farm for the 2019 season. We will have tons of information on all our spring and summer events to bring home. Be sure to get the family outside and celebrate our re-opening!! Strawberry & Sugar Snap Pea Season kicks off the first major harvest of the year. We grow acres of beautifully groomed berry fields and orchards full of ripe fruit yearning to be picked. Warm breezes are sure to carry the irresistible smell of sweet New Jersey strawberries, radishes and sugar snap peas. Starting June 19, hayrides to our fields will leave continuously from 10 to 1Monday – Friday, 10-4 on weekends. May 31st– June 2nd is our annual Strawberry Festival! This family fun weekend has music, farmhouse BBQ, hayrides and of course… STRAWBERRIES! Our farm market is filled with strawberry pies, strawberry breads, other assorted strawberry desserts and strawberry ice cream! Be sure to bring the whole family to enjoy such a sweet day! Cost: $4.50 per hayride, Pick Your Own Strawberries and Peas are $2.89 per lb, Pick Your Own Cherries are $5.95 per lb. Blueberry Season begins as the strawberry and cherry season is ending. The Pick Your Own Blueberry season lasts through mid August. Cost: $4.50 per hayride, Pick Your Own Blueberries are $2.89 per lb. 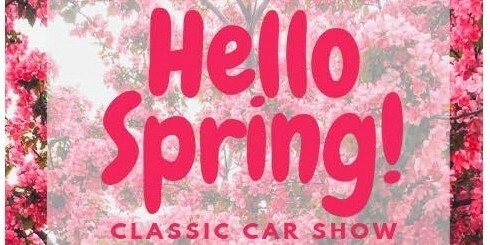 We kick off our car show season with our HELLO SPRING event. Cars shows have become a tradition at the farm and we are excited to get started for the 2019 season. We invite all of our Car show friends join us for our first event of the 2019. 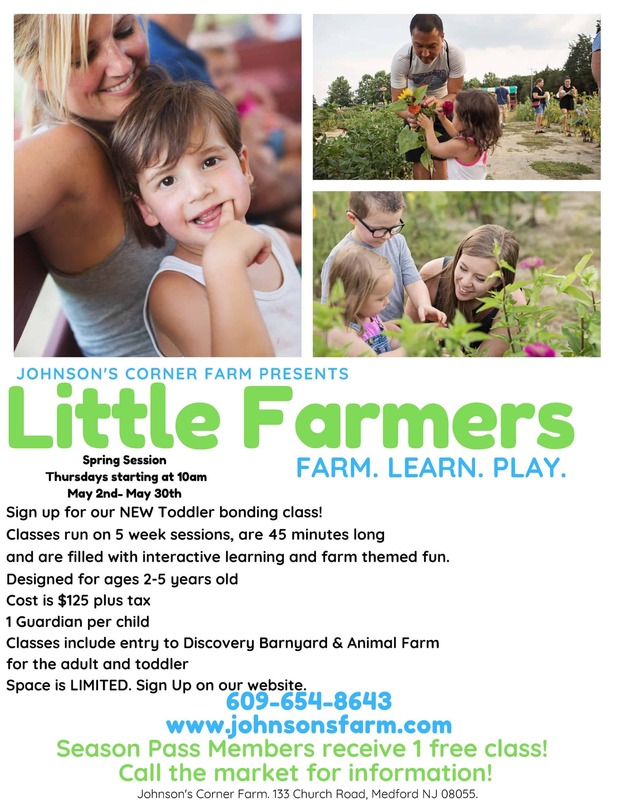 Johnson’s Corner Farm is excited to announce our new, “LITTLE FARMERS CLASS” here on the farm this spring. We would love you and your 2-5 yr old to be a part of it! The Tuesday class is full but we still have a few spots on Thursday morning. Our Thursday Spring session runs , May 2 to May 30 starting at 10AM. This will be a parent involved interactive class with farm themed topics and activities each week. Classes will run 45 minutes. Sessions will be 5 weeks long with a 6th week for makeups only. Admission to the Discovery Barn Yard and Animal Farm for the parent and child participating in the class is included in the price for the day of the class only. We encourage you to stay and play after the class is over. This is a parent/guardian involved class and children cannot participate without an adult/guardian present. Space is limited so sign up today. 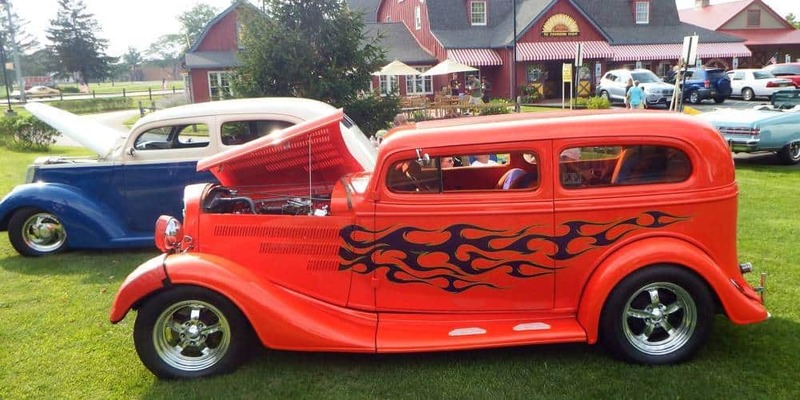 We are looking forward to another great season of Friday Night Classic Car Cruise and BBQ. The 2019 season will start on May 3rd. Cars start rolling in at 4:30 and the Grill opens at 5. Enjoy a beautiful evening of Friends , Family and great food at the farm. 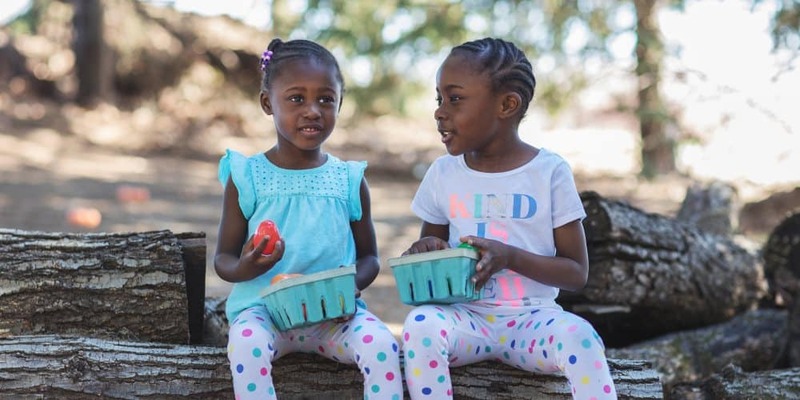 For more family fun check out our second location Johnson’s Locust Hall Farm. Its a beautiful historic farm located in Spring Field Township. Just minutes from 295, 206 and the NJTP. You will be “WOWed” by the views, the fresh products and the friendly people.